4000 dpi true optical resolution. 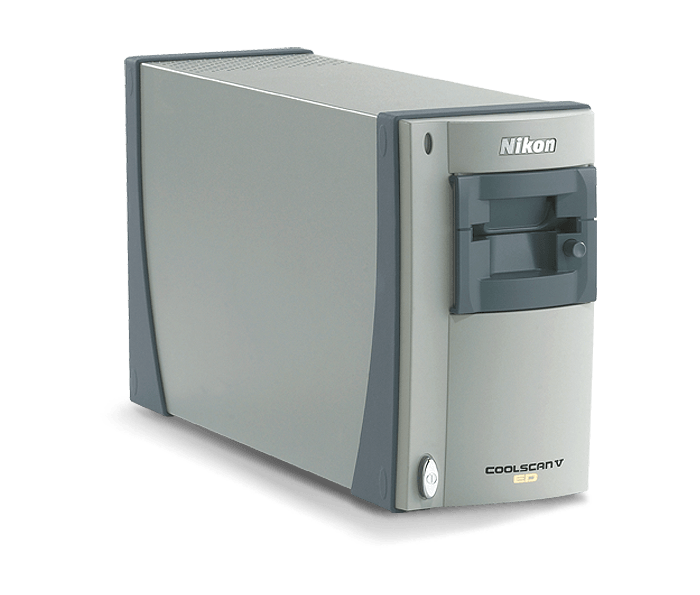 New scanner Nikkor Extra-low Dispersion (ED) glass lens. New advanced image processing algorithm for color negative film. Quick AF and Quick Preview. Digital ICE4 Advanced TM(Digital ICE Quad Advanced). Media: Negative and positives, in color and monochrome. 35mm slides: Slides with mounts 1.0-3.2mm thick, 49-50.8mm wide. 35mm film strips: 2-6 frames; strips of 1-6 frames can be scanned with the optional strip film holder FH-3. APS (IX240) film: Cartridges of 15, 25 and 40 frames can be scanned with the optional IX240 film adapter IA-20(s). Slide glass for microscopes: Prepared slides (26x76mm, 0.8-1.5mm thick) can be scanned with optional medical slide holder FH-G1. MA-21: 25.1 x 36.8mm/3,946 x 5,782 pixels/same as slide mount. SA-21: 25.1 x 38.0mm/3,946 x 5,959 pixels/23.4 x 36.0mm. IA-20(s): 18.6 x 28.4mm/2,915 x 4,453 pixels/16.1 x 27.4mm. Scanning system: Fixed film, movable plane single-pass optical scanning system. Light source: R, G, B and Infrared (IR) LEDs.